In a few days, our SCS On the Road team will be packing and setting on a new journey. Destination: Hungaroring! 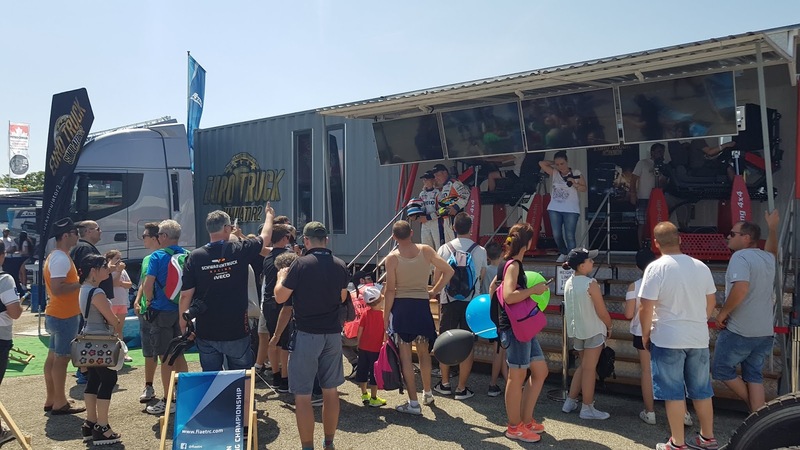 We are joining the fun at the 2nd race of the FIA European Truck Racing Championship season on this famous Hungarian circuit. We are trying something new for this event, and we are really looking forward to it. Our core team will be complemented by János and Gábor, two very experienced Euro Truck Simulator players and long-time passionate fans of SCS Software games. This should help us bridge the language barrier, and make it easier for us to deal with input and feedback from the local players. As usual, everyone who's going to come to the races will have a chance to visit our Sim Trailer. Stop by and try our games on our tuned 4D Motion Seats or have a chat with our crew, and perhaps even get a piece of our cool merchandise to remember the day. If you can't make it Hungaroring on 16th or 17th of June, keep an eye on our social media channels. We will be sharing some moments, pictures, and videos during the weekend. 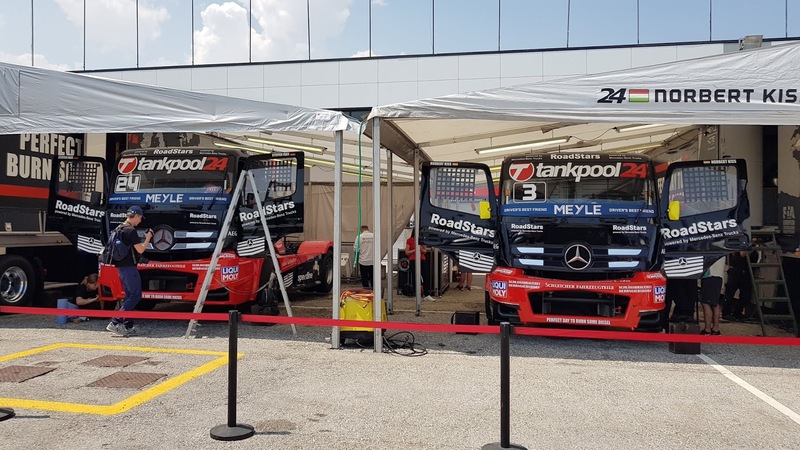 To illustrate the atmosphere of the roadshow, here is a couple of images from two weeks ago, when our sim trailer traveled to the first race of the FIA ETRC 2018 season at Misano World Circuit, Italy. It was a really hot and sunny weekend and we all had a great time with tons of visitors interested in our work. You can find even more photos if you visit our SCS Software Facebook profile.